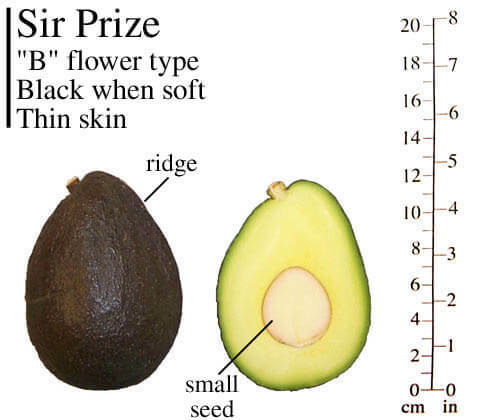 The Sir Prize avocado is an excellent quality avocado that resembles Hass. It blooms earlier and matures 6 to 8 weeks earlier than Hass. The fruits have a distinctive ridge along one side which becomes less noticeable when the fruit ripens. The skin texture is not truly pebbled like Hass but does have tiny islands of varying yellowish shades giving the illusion of ‘Hass’-like pebbles. The flesh has a buttery, high-oil texture with a nutty sweet flavor. The tree has an upright growth habit. 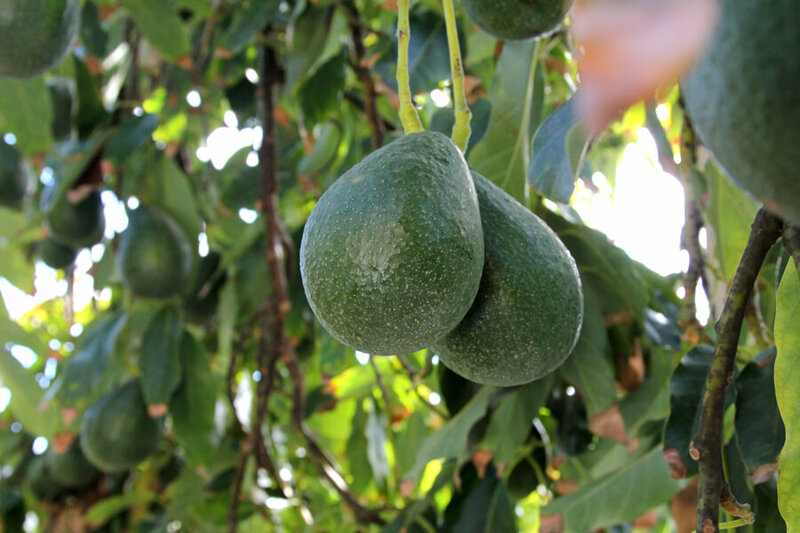 This avocado variety is gaining popularity as a commercial variety.